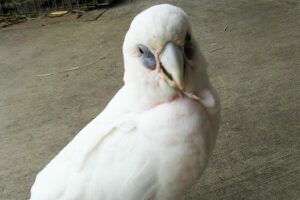 Bare-eyed cockatoos, also known as little corellas, will inhabit most types of open country, but are particularly abundant in eucalyptus-bordering watercourses. 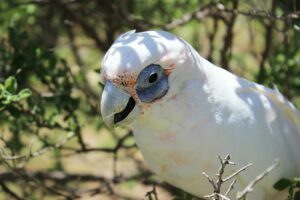 They will roost in the nearby trees overnight, congregating in flocks of several thousand. In the morning, they leave their perch with a deafening screech before heading for the watering hole, followed by a day of feeding on grass seeds. 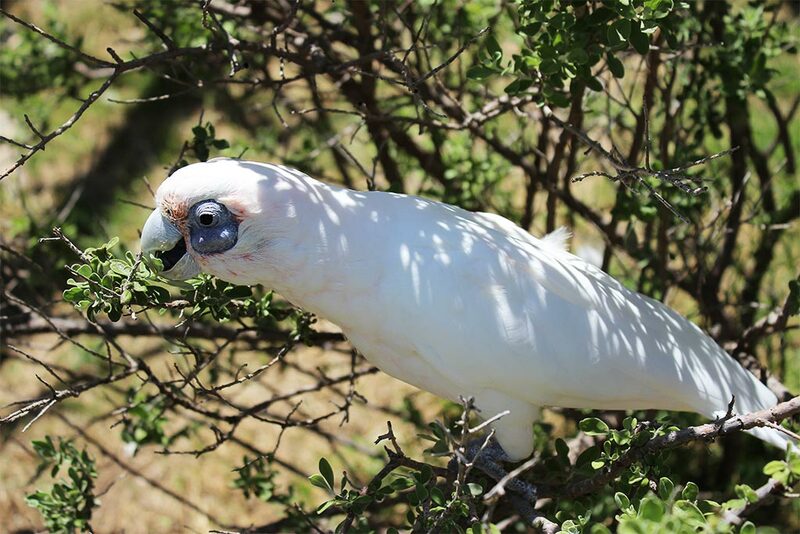 Early travelers would use the bare-eyed cockatoos as a guide, and follow the flocks in order to find water. They are intelligent and inquisitive birds. 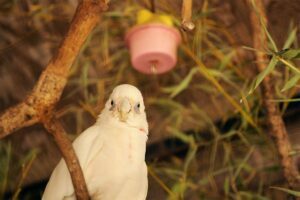 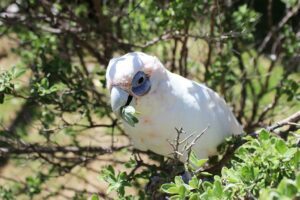 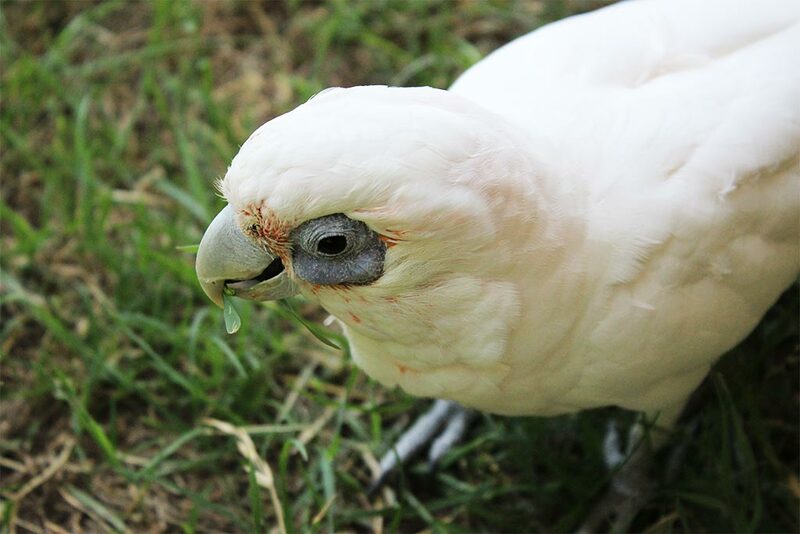 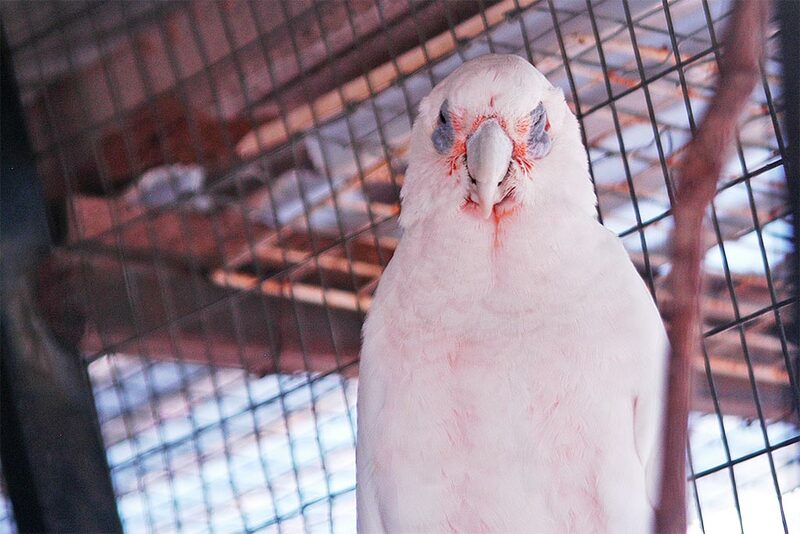 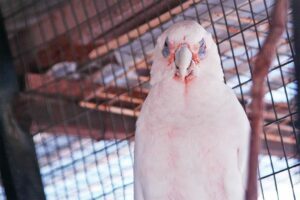 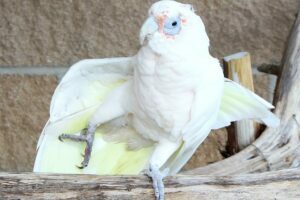 Bare-eyed cockatoos can be very destructive, chewing on everything from tree branches to electrical wire. They also invade cultivated areas and damage crops. Due to their destructive tendencies and large population, they are considered pests in Australia.